"Our daughter is a very sensitive child, who needs to be confident to open up and flourish. 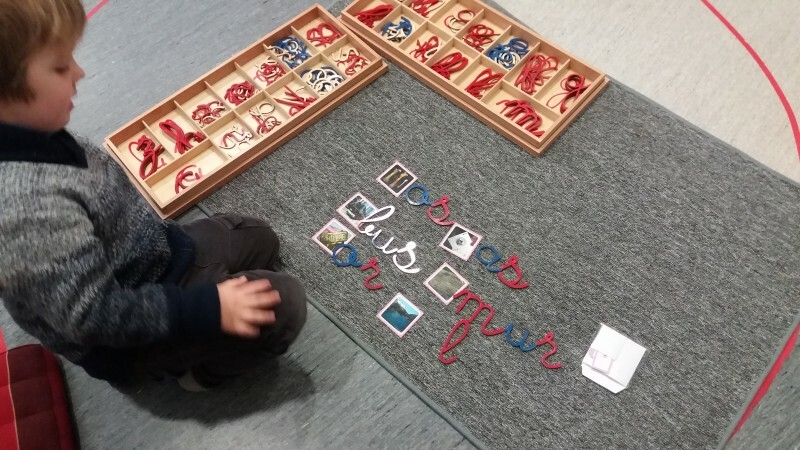 At the Jardin Montessori in Gaillac, it was welcomed every morning with the same quality of presence, the same kindness, the same availability. All her emotions are respected and welcomed. As a result, she has made tremendous progress in her ability to concentrate, her already very developed curiosity has increased, her motor development has been clearly boosted. Outings, bread making, yoga, English, time at the park etc., are all proposals made to children to find their emotional balance. Our 3 year old child is completely autonomous and responsible for her meals, dressing etc. She feels responsible for her things when she goes to school. The last proof was to see the fulfillment of the children and the joy they had every morning to go to school. We are very happy with its development and can only recommend it for all the children on earth!" "A big thank you for your patience and your sweetness in the school support of our child. We do know that the year has been difficult at times and we appreciate your work with our daughter. School progress is beyond our expectations, but especially our daughter is happy to go to school, her curiosity and her desire to learn are fed. We find her flourishing." "Thank you so much for all you do! This school you have created is the kind of school where many would like to grow up. How wonderful is your gift to children with the Montessori method. Your presence, your values, your listening, respect and the right distance with each one, your kindness ... You surely know this quote from Gandhi : "Be the change you want to see in the world." Your school contributes to this. So, once again, thank you from the bottom of my heart. May this school continue for a long time and other projects like yours flourish for the good of all." "For our daughter this year has been the best of all her schooling. This year in the 6-9 years old class has been founder in the apprenticeships. She learned a lot at her own pace while receiving a daily answer to her lively curiosity. We have perceived in our daughter a strong construction of her socialization... never perceived before. She has regained confidence in the relationships with others (adults and contact with the little ones was also greatly appreciated and helped her to develop self-assurance and kindness. Unlike the other years, we have not seen somatization due to frustration or to "no envy" to go school. Her academic achievements have become firmly established and she is progressing confidently. This "Montessorien" year also allowed us (the whole family) to modify our behaviors of education at home and to adhere to better methods of communication with her and between us. The positive education that we started to put in place has made sense. Thank you very much for all that you have transmitted to us, because yes you transmit to our children but this transmission positively impacts us and makes us grow too. Our gratitude is immense and I do not have enough word to describe it. So know that next year you can count on us at 200%. "